Periodontal disease is the number one disease among dogs, effecting nearly 80% by age three. Developing good oral care habits at an early age is key to promoting complete pet wellness throughout the entire life of our dog. 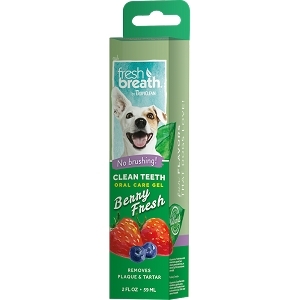 Fresh Breath Oral Care Kit begins working immediately to address plaque and tartar. A proprietary blend of natural ingredients produce a healthy oral environment, and promote periodontal wellness while also soothing minor gum irritations. Brush teeth once daily for 30 days. 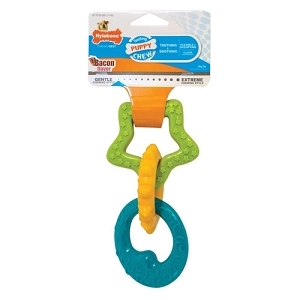 Depending on your puppy’s liking, use the TripleFlex brush or the Quick Finger brush. 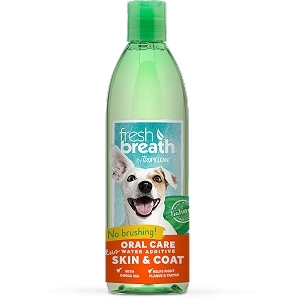 Squeeze a small amount of FreshBreath Brushing Gel onto the brush and allow your puppy to taste. Reapply and gently brush in a circular motion. Never use human toothpaste, as it can upset your puppy’s stomach.